In the spirit of our ‘new life’, we’re trying to make the effort to embark on teeny weeny adventures as part of just any old normal week. Nothing impressive or of major note, but just a reminder that whilst we’re waiting until we have enough time/money/blah to do the big stuff, we could just go and do some little stuff anyways rather than grumbling and wishing our days away (me) or just getting on with life without complaining (Keith). Today was a beautiful day and like the rest of the planet, we had work to do. So, we did it and then we went out. Simple as that, really. It’s so easy to be lazy and just not bother but it’s worth the effort when you do. And I got to hang out with some cows, which is a pretty special kind of Tuesday by anyone’s standards. 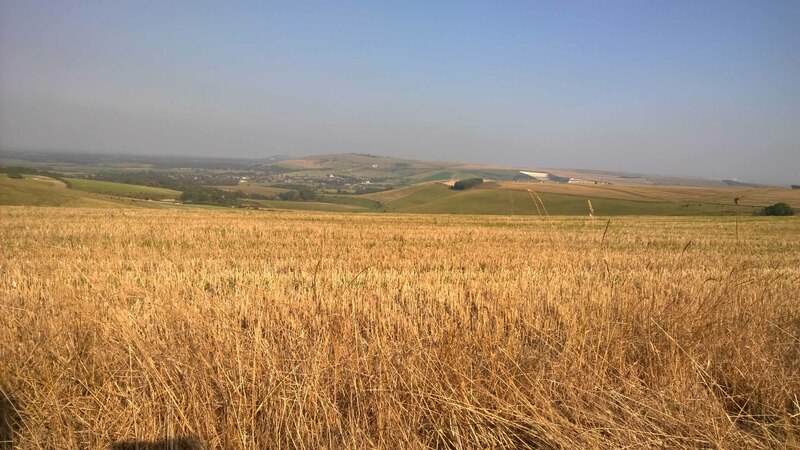 We live in suburban West Sussex and the South Downs is only a few minutes away. We’ve been up here many times on our bikes, but never in the 18 months that we’ve lived here, have we ever been for a walk. That is frankly, disgraceful, but, I suspect, not altogether unusual. Don’t we plan mega-trips to distant shores, but not bother to go and have a nose at what is right under your nose? It doesn’t matter where you live or how much time you’ve got – we were out for just over an hour – its just about doing something different and breaking out of the daily grind where and when you can. As the classy foodies/greedies that we are (now on a budget) we cannot, literally can not embark on any expedition without snacks. Not even a drive 2 miles up the road and a short and sweaty walk around a field or two. 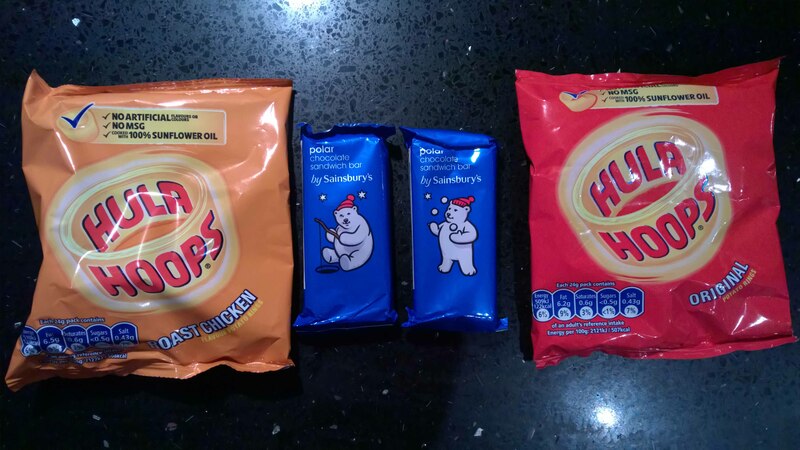 Armed with a bottle of water, 2 packets of Hoola Hoops (£1 for a 9 pack) and 2 Polar chocolate bars (budget Penguins from the other end of the world – £1 for a 9 pack) we set off and found some cows. I love cows. I am in good company here, as probably the World’s Most Famous Autistic Person, Temple Grandin, has made a career out of hanging out with cows. 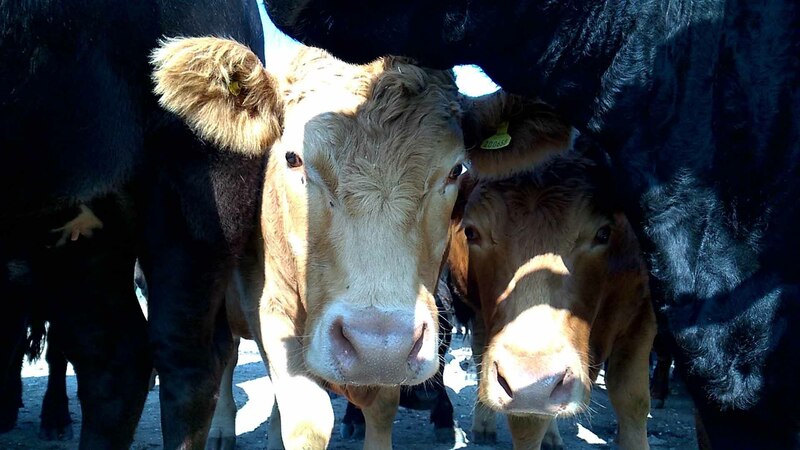 If you want to get a cow to come over and say Hello – who doesn’t? – you need to be slow, still and get low to the ground. I think they get scared because standing upright we seem too tall. If you sit next to a field of cows, quite often they will come over and dribble saliva all over you. Lovely. One very large black one got quite possessive and blocked access to all the others from having a bit of a stroke by placing his entire body sideways between me and them. I never get such adoration from a human being; I felt strangely flattered. 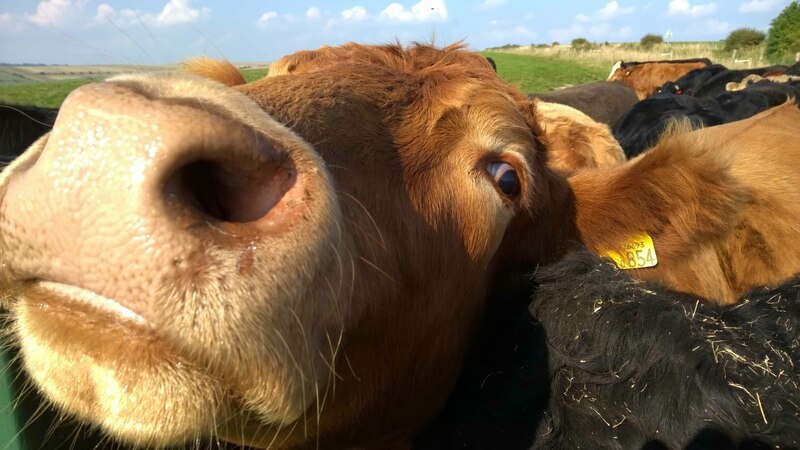 It has been previously implied by Keith that my relationships with livestock are less than savoury (‘You are enjoying that too much’ – when being slavered over by a different cow) an accusation which I deny wholeheartedly. I just like animals. Just because I prefer cows to cats, does not make me wrong. Look at them; beauties. We sat and ate our scoffs on a concrete block surrounded by countryside, silence and no one. Tuesdays are the new Saturdays – no bugger is about. This place is full at the weekend, but not today, just me, him and a squirrel who leaped terrified from behind the concrete block which was in the middle of a field with not a tree in sight. What’s a squirrel doing here, we said. He must have lost his tree. We headed home after a brief interlude of togetherness, outdoorsness and peacefullness. This is as good as anywhere we’ve ever travelled to, we said. And it’s only 5 minutes away from a decent cup of tea. 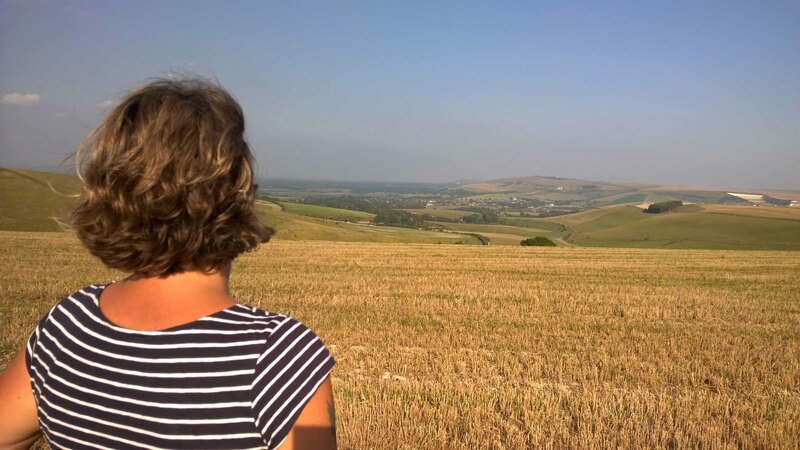 This entry was posted in Travel and tagged adventures, adventures near home, afternoon adventures, cows, hoola hoops, sussex, walking, worthing. Bookmark the permalink.